Hey everyone! Welcome to our new blog! 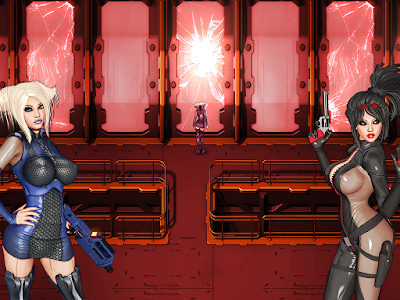 Please consider following to get up-to-date news and artwork about our current game project, Malise and the Machine. You can get even more information and exclusive write-ups ,as well as see artwork early by making a pledge at our crowdfunding page at www.patreon.com/eromancer, (not to mention early releases of the game as soon as they drop)! Lastly, if you have a Tumblr you should check us out at eromancergames.tumblr.com! Now for those of you that haven't heard about Malise and the Machine yet... keep reading! 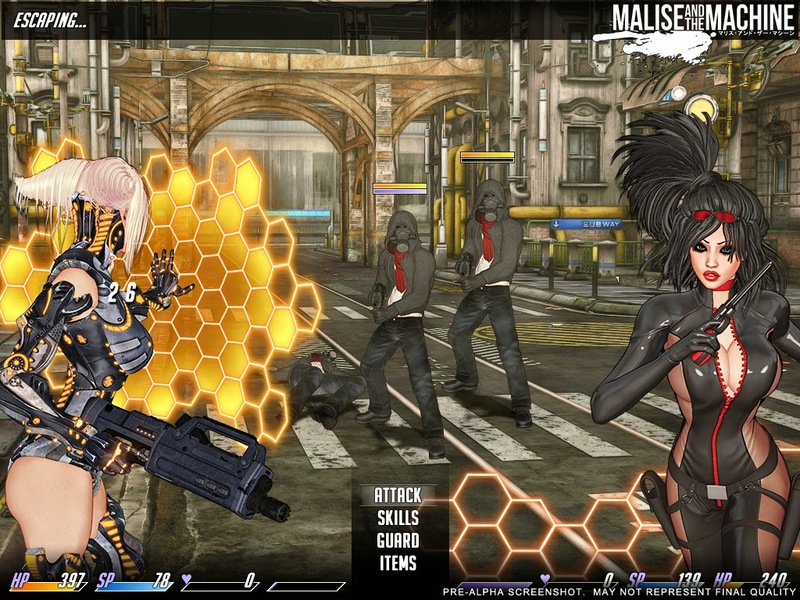 Malise and the Machine is an adult RPG for the PC, and is being created using a heavily improved version of RPG Maker VX Ace. The project has already been in development for over a year, but now it is time to expand the project and get players involved (that's you!). The goal for this project is to make an amazing game that can be distributed in both English and Japanese, and we need your help to do it! Is the gameplay any good? The gameplay is good! A key element is the custom active time battle system that features fully animated enemy sprites and unique, highly detailed character artwork for every action. 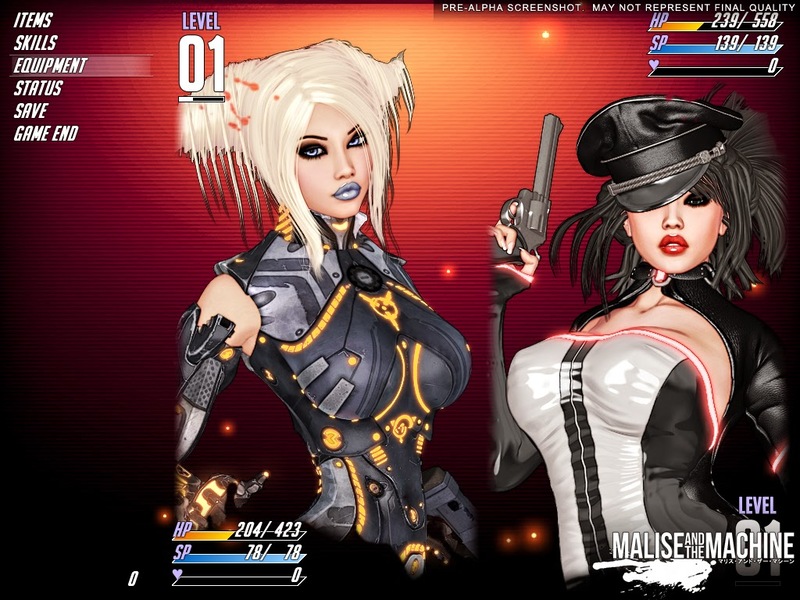 Characters have access to different outfits and weapon types that will modify their stats, play-style, and most importantly how battle H-content gets carried out. - Complex skills, status system, balancing, and actual challenging gameplay (gasp)! What's special about the H content? What will this game feature? This is where the game really shines. The design goals of this project aim to overcome the design drawbacks of many of the H-RPGs that have come before it. Instead of H-content feeling like it has been tacked onto the gameplay, this game is being heavily designed around the H-content. Many games demand that you lose to see H-content. While it situationally makes sense, it is completely counter-intuitive to what makes a game fun: progression and overcoming challenges. Discovering a new enemy only to have to wait for a game over screen to collect H-content simply isn't that fun. In this game, you are rewarded with H-content by surviving. Most of the H-content occurs during battle scenes, and does so using a completely original system. The game features a struggle system not unlike many RoR titles (Shinobi Girl, Witch Girl, etc.) built within the active time battle system. This opens up a whole new realm of gameplay possibilities such as skills and stats designed to affect the outcomes of the struggle system, as well as story/event battles designed completely around this system. - Real time battle H-content that is strongly influenced by characters' armor, level, and stats. - In-battle H system that combines the best aspects of RoR titles with traditional RPG H-games. - Unique clothing destruction system. - Unwarranted amounts of happy jelly. - Beasts, tentacles, insects, vore, and more will be included. Different armor and outfits huh? Explain! A lot of games in the past utilize picture overlays to simulate different clothing/outfits. 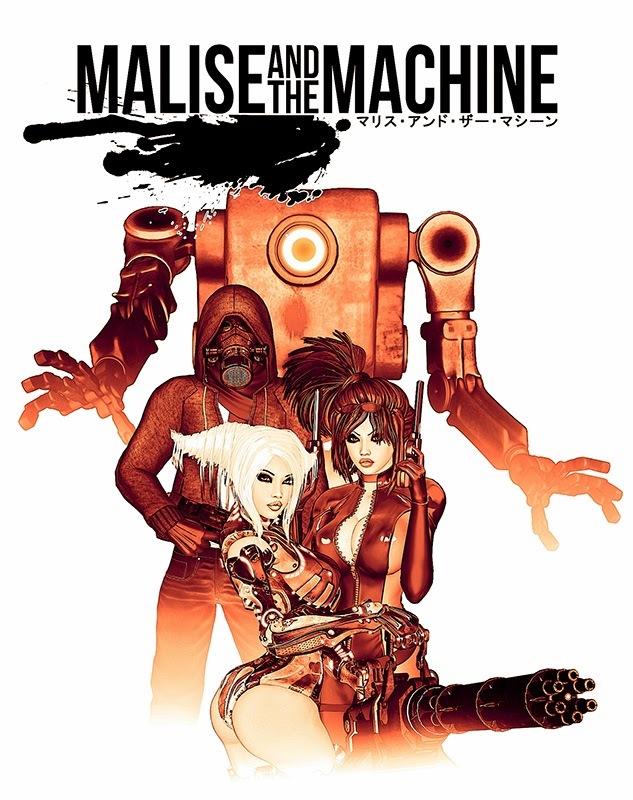 In Malise and the Machine every outfit truly has its own unique artwork, and every single H attack has different artwork for each character and outfit (and many times the attack changes entirely!). I'll release more information on this aspect of the game, as well as the clothing destruction system later on. The artwork looks unique! How is it being made? As I mentioned, the game has been in the early development stages for about a year. A big chunk of that time was devoted to experimenting with art styles, programs, and processes. The art style I've settled on uses pre-rendered graphics made from 3D models. I'm using a highly customized set of shaders and post processing combined with hand painting in Photoshop to achieve this style, and the result is that I can create highly detailed artwork relatively quickly without being a master 2D artist. This route also allows me to pay to license models/parts from artists and customize them to my liking for use in the game. This isn't a magic button that does the work for me by any means as a lot of customization goes into everything, but it is the next best thing to having a team of artists working with me. Who are you? Have you made any games previously? How many people are working on this? The development of the game up to this point has been almost solely the work of me, Eromancer. I'm a professional programmer, but this is my first game. I also have a background in various mediums of graphic design and music, and have pushed my creative abilities to new levels to lay the groundwork for this project. Recently I've started in my efforts to expand the team, and my first team member I've hired is HentaiWriter, a talented dude who will be assisting with video footage, making trailers of game development as the game progresses, as well as helping to promote and market the game. Most of the blog posts after this one will be written by him, but I'll be checking in from time to time as well, so we'll be signing our posts, of course. Finally, if you're interested in working with us, I'm very much on the lookout for artists interested in helping with tilesets, RPG Maker level design, and 3D editing, so feel free to message us, and yes, it'd be a paying position! We plan on updating this blog frequently, so we really hope you'll stick around and check out the development process and updates for Malise and the Machine! Do you have a date for a demo? A public demo will likely be released sometime after the first couple of Patreon content releases. That's about all the info I have on it for now though!